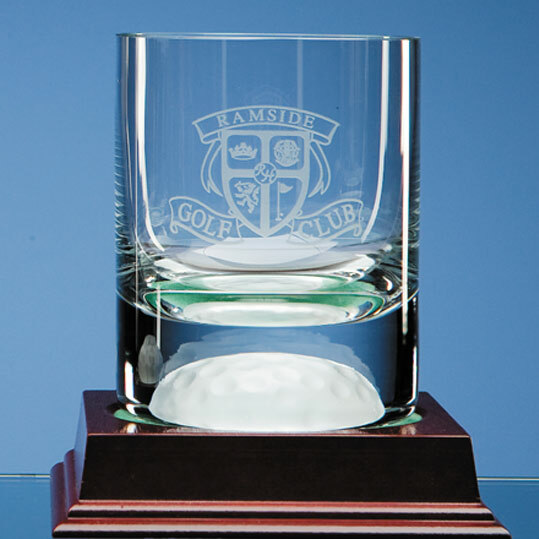 The 10oz whisky tumbler is hand blown with a half Golf Ball design moulded into the base. It has a large engraving area that can be personalised with any club crest, logo or wording to make an ideal golf related gift that is sure to be well received, especially when combined with the wood base, as shown. Please note the price does not include the wood base.